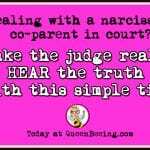 Editor’s Note: This true narcissistic abuse story was shared by a fellow survivor. Read more survivor stories here, or submit your own story here. 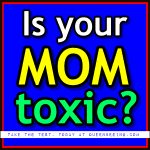 I have never lived with my mother, but I was extremely traumatized by her toxic behavior. I had buried some of the trauma I experienced so deeply and I think they’re only now coming back because I am strong enough to confront them without spiraling. This happened over twenty years ago and it involves my sister who was 14 at the time, and my narcissist mother, who was 39. My narcissist mother had been married to a male narcissist (cheater, liar, financially neglectful, gaslighting) for about six years. The truth was that this was actual karma at work, because my mother told me that her only criteria for marrying a man were that he could sing ballads and thrill her. Well, her narcissist husband had a great singing voice and pretended to speak several languages. She fell pregnant with my baby sister and they got married. She got what she wanted. He could sing. But he didn’t own a home even though he was CEO of a multi-million dollar business. He was financially irresponsible and he cheated on her all the time. They were at each other’s throats from day one. Skip forward after six years of that. My mother and stepfather have just been evicted from their rented home. The banks are calling him over a business loan repayment. One Saturday morning, my stepfather and mother had a quarrel. According to what I heard, he had spent almost nine hours beating my mother. 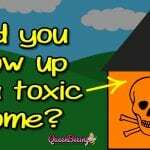 At one point, he was trying to pour drain cleaner down her throat. My 14-year-old sister does not call the police, a neighbor, me, or anyone. Neighbors heard my mother screaming and my stepfather shouting for the entire day and forced their way in. That was when someone phoned me at my grandparents’ home to tell me what had happened. I was barely an adult at the time (18) and I was embarrassed about being around something so vulgar. I decided not to go comfort my mother. (That was a hard no for me). Six days later, on Friday evening of the next week, the incident was headlined on the front page of a tabloid paper. A journalist wrote a blow-by-blow account of my mother’s nine-hour beating in the center pages of the paper. My sister bought the paper on her way home from school and showed it to me. She was excited and happy to show me illustrations depicting the more disgusting parts of the abuse. Quotes from actual conversations were included. I couldn’t bear to read any of it. Well, my sister told me she had called the papers herself and offered to sell them the story. She was very proud that she had produced this juicy story for the ENTIRE country to read. Do you think my mother was angry, embarrassed or upset? Think again. My teenage sister was her proxy in the war against my stepfather in the press. Most women would call the police, get the man arrested and charged and then file for divorce, right? Not my mother. She doesn’t want to be disliked by a man. In her mind, sneakily exposing his savage abuse in the press was a clever way of shaming her husband into giving her access to his millions. Needless to say, my mother sacrificed her dignity for nothing. My stepfather still refused to pay my sister’s tuition for a private preparatory school, piano lessons, medical bills, etc. As a result of his neglect, I was asked to be financially responsible (parentification!!) for my youngest sister when she turned twelve. I remained so until she left university (I paid her full tuition – no loans). On top of that, my mother complained that she had to provide room and board and my stepfather was spending money elsewhere. I was scared my mother would kick my sister out, so I agreed to pay her utility and grocery bills until my sister graduated. If you are disgusted by my mother’s irresponsible behavior, try to imagine my brain exploding a little every time I think about that. Postscript: My stepfather died penniless in a rundown rented home four years ago. He had testicular cancer and refused to take his medication, knowing he would surely die. The landlady came after my mother for rent owed shortly before that. 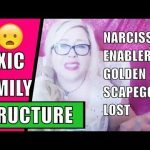 Are you an adult child of a narcissist or toxic family?